David Huggins is a 72-year-old man who believes he lost his virginity to an alien. He also believes he’s been visited by aliens for the majority of his life. It’s an easy story to laugh at, but in Brad Abraham’s documentary Love and Saucers, you want to believe Huggins. And, frankly, it’s hard not to. Love and Saucers presents Huggins story in a very warm way. There’s no judgment about his stories; they’re presented in his words and through his images. 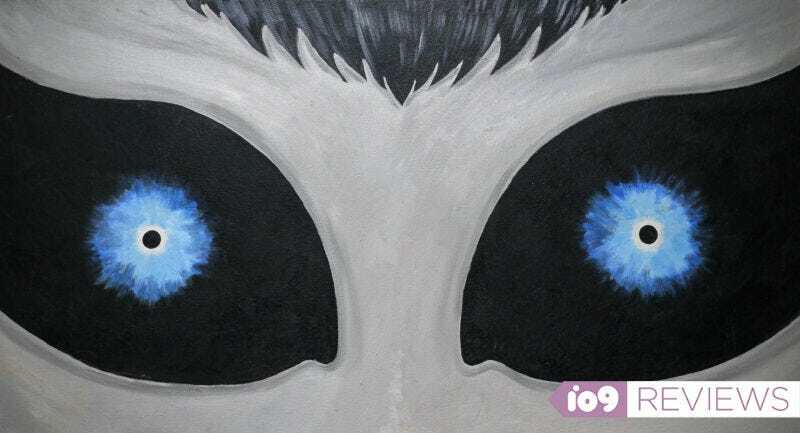 The images come from the fact Huggins has painted almost every encounter he’s had with aliens, which range from innocent and sweet to scary and provocative. His paintings are a major part of the film, and not only do they provide a wonderful visual element, they help develop his character, too. It’s obvious that, through his art, Huggins has found a way to externalize this impossible struggle within him; he believes all of this happened, but most of the world doesn’t. Over the course of the film, many other aspects of Huggins’ life are explored, like his childhood, his family, his work, and more. Plus, alternate explanations for his extraterrestrial experiences are referenced. However, as we learn more about his life and more about the alternatives, one simple fact becomes abundantly clear: these unbelievable stories absolutely feel, in some way, real. Ultimately, that’s the biggest success of Love and Saucers. It takes an obviously fantastic and out-there situation and presents it in such a way that believing is easier than not, especially with such a nice person at its center. Abraham hasn’t proved that aliens exist with his film, but he certainly makes you think about it.